This cheery Valentine's Day paper hearts garland could not be easier to make. Even if you don't sew. Because I really don't. I can thread the machine and sew a line but I'm not skilled enough to make clothing or anything like that. Fortunately, all you have to do for this pretty string of hearts is sew a relatively straight line. 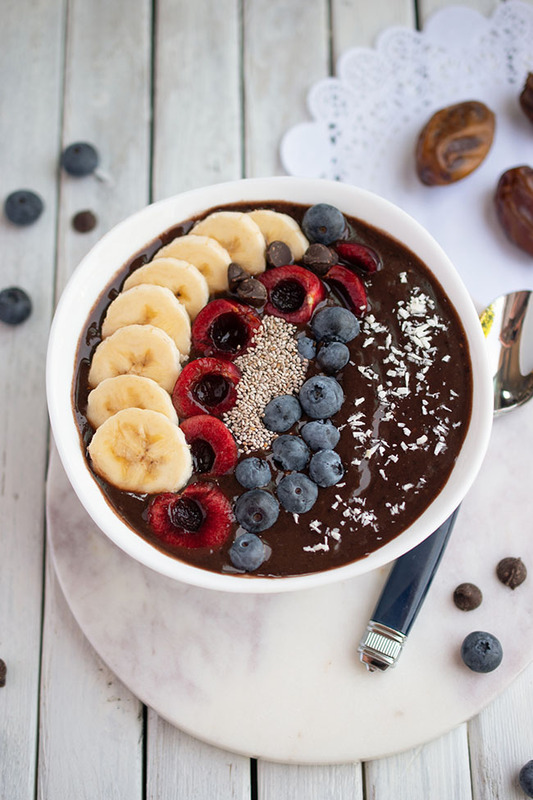 And once you make one, you'll want to make a hundred more! Trust me, it's addictive. I used some heavy paper that I had left over from making vegan caramel corn in festive diy paper cones just prior to Christmas. Fortunately red paper works well for both occasions. It's fairly thick paper from a pad of paper that I bought at a craft store. Start by punching hearts from the paper using the heart punch. Easy peasy - get the kids doing it. They will love it. I chose to use three different patterns of paper, one of them closer to a solid red, one that's red and white and one that has more white and some red. 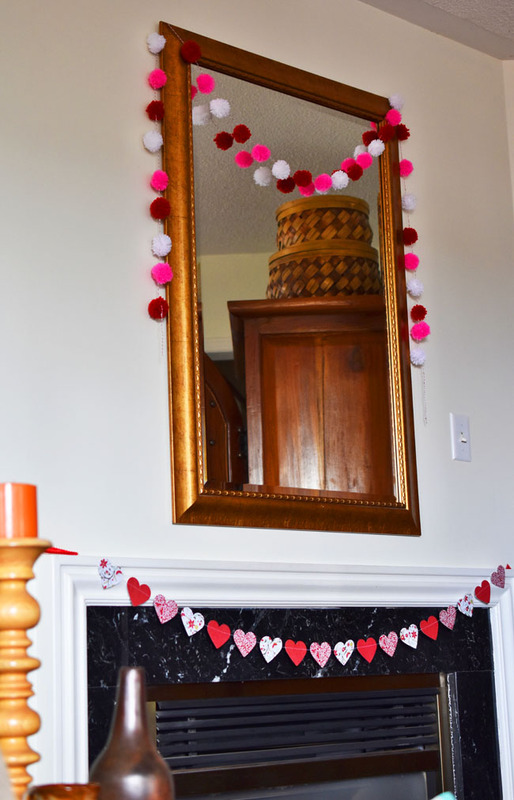 It took 18 hearts to make a garland to fit our fireplace. The funny thing is I didn't even measure. I just figured I would try sewing a garland to see how it worked out. It ended up fitting the fireplace perfectly. Sometimes you just get lucky! I decided to sew ribbon on the ends of the garland to make it easier to hang. 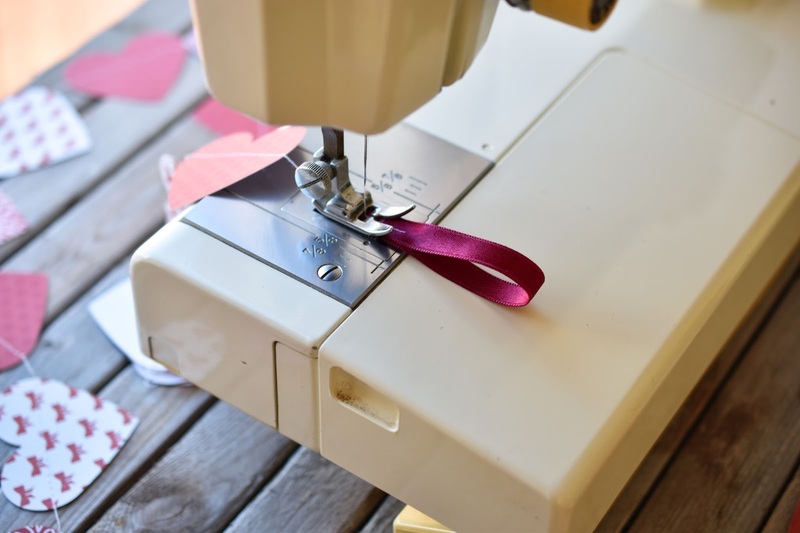 To do so, fold a short piece of ribbon in half and sew a half-inch or so where the two ends of the ribbon meet. Do not cut the thread. 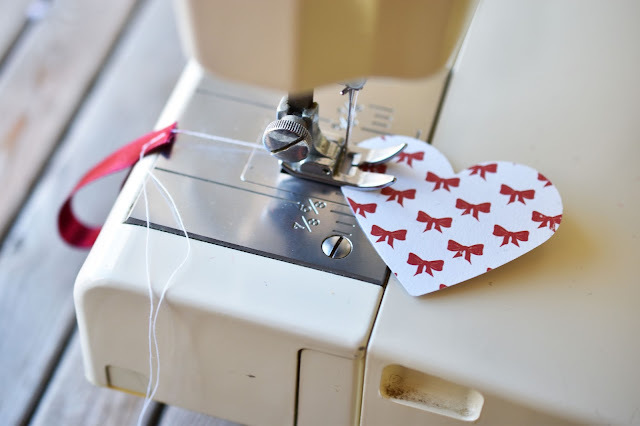 Keep sewing right off the end of the ribbon and several stitches forward so you have a length of "sewn" thread before the first heart. Place the first heart under the presser foot. 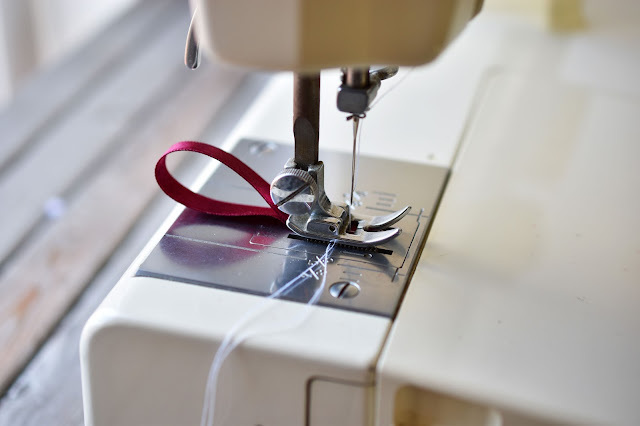 Sew across the heart from side to side somewhere in the middle to upper half of the heart. Set your stitch length a bit longer than usual if you want fewer holes in your paper. 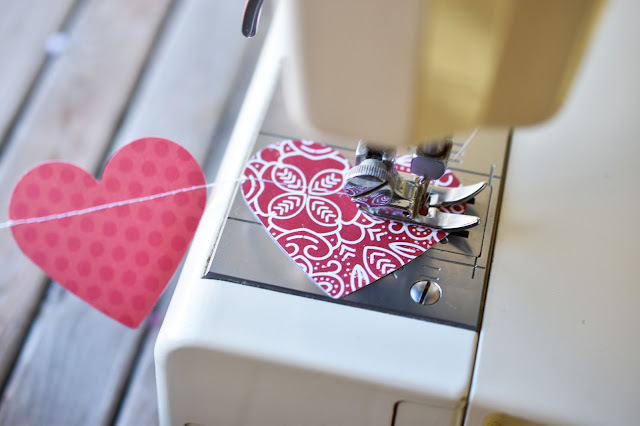 Keep sewing past the edge of the heart before adding another heart so that there is a small length of thread between each heart. I counted about seven stitches between each heart. Continue until all the hearts are sewn. To finish, sew a length of thread after the last heart and then add another ribbon to match the beginning of the garland. Cut the thread and now your sweet Valentine's Day sewn hearts garland is ready to hang! You could also sew through the hearts top to bottom to get a garland that hangs straight down from the ceiling. Once you have your materials ready, this garland takes minutes to make. Why not get each family member to make a garland of their own in colours of their choosing? 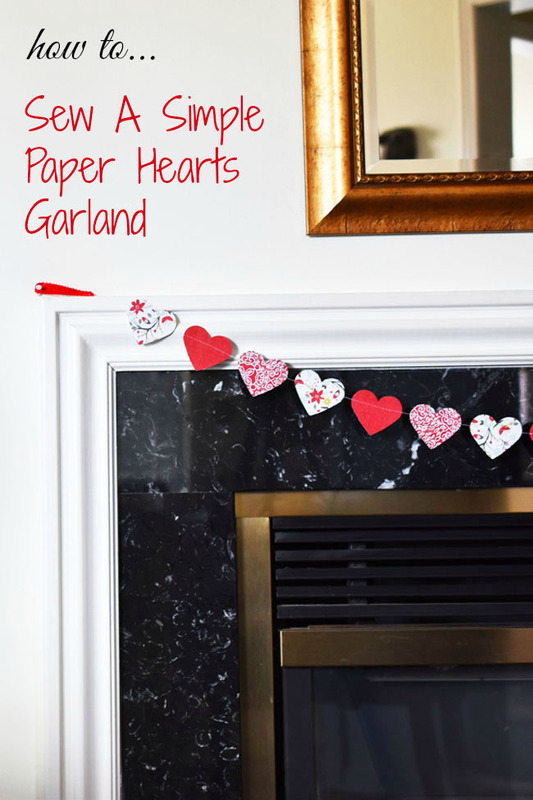 This paper hearts garland would be cute in a book nook, play room or child's bedroom too. You can't really mess this up and if the sewing isn't perfectly straight, who really cares? Your garland will look just as cute once it's hung up. 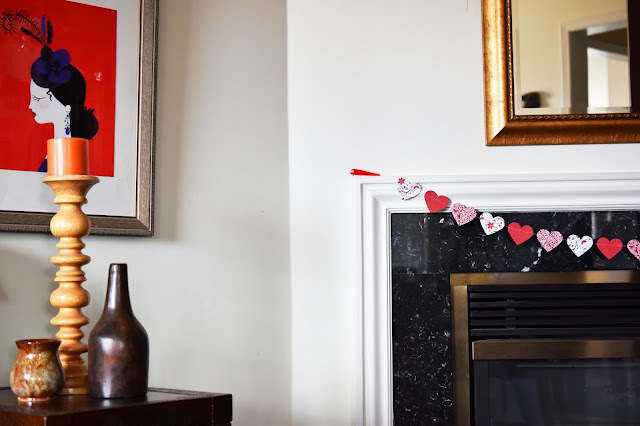 So far, I have one Valentine's Day sewn paper hearts garland hanging in a window between our family room and kitchen and one paper hearts garland on the fireplace. I also made a Valentine's Day garland of mini pom poms in red, pink and white, which I draped over the mirror above the fireplace. (I have been saying I'm going to get a mantel for about seven years but it hasn't happened yet.) 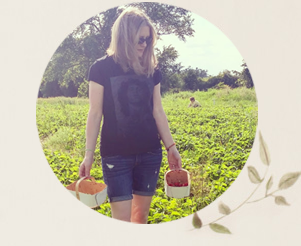 If you are interested in how we make our pom pom garlands head over to this post. That's another easy garland project that's fun for the whole family. 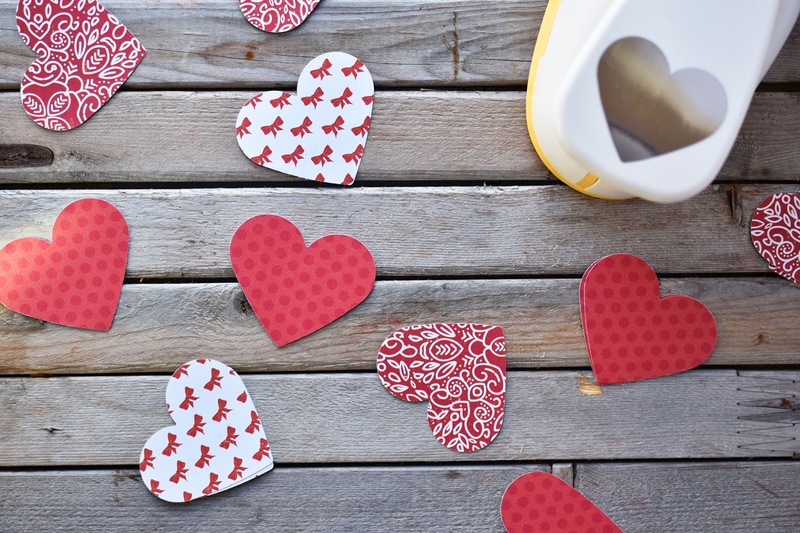 So, do you decorate for Valentine's Day? What with? You could buy a very small one if you're not going to use it often. I bought a small plastic sewing machine for $20 before my mom gave me hers. 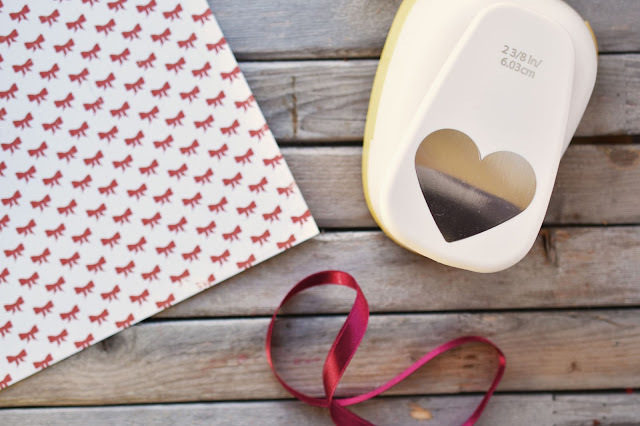 Your heart garland is adorable and a perfect Valentine decoration. This is such a sweet garland! We don't really decorate for Valentines Day to be honest. We never used to that much, but now we're addicted! Time to start crafting again. It has been awhile, but these looks so great. I don't decorate for Valentine's Day but these are lovely and festive enough to use for Christmas. Your garland is very cute! I don't really decorate for V-Day. Our celebration will be watching "The Walking Dead"! My husband would be with you on that one! 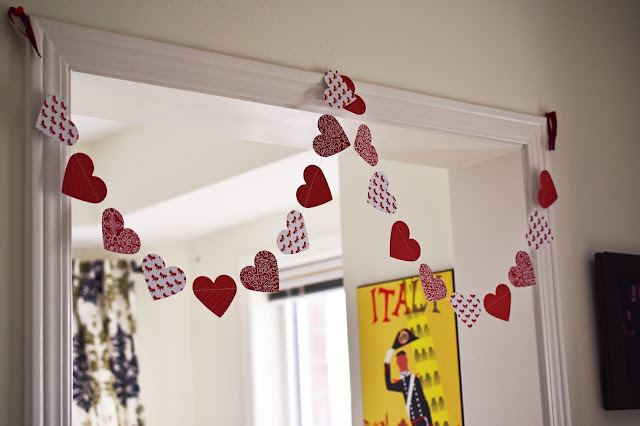 I really like it this is so creative.....the perfect Valentine decoration. That's a really cute garland! I just put little hearts on my tables. This is so cute! We usually decorate for Valentine's Day by hanging up all the fun arts and crafts' projects that my kids make at school/home. Aww, the kids projects are the best aren't they? Now that my babies are teenagers, I no longer go crazy with noticeable heart strands. haha I will put out festive candles in the bathrooms, and on the dining room table just to put a smile on their faces. I use our red dishes, and make special treats to celebrate. I love making home made Valentine's decorations . 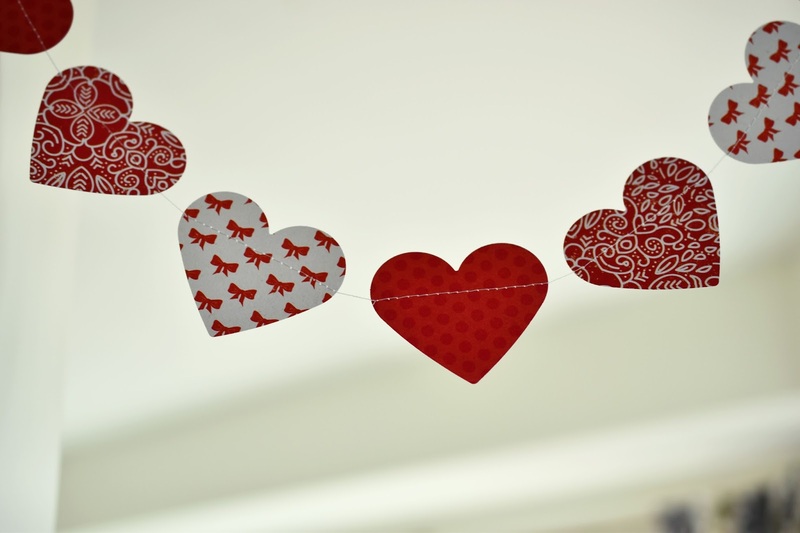 It never occurred to me to decorate for Valentine's day! I probably will if I had young kids.